Daniel Boyarin is a genius and a personally fascinating scholar. A Talmudic scholar and an expert on rabbinic Judaism and early Christianity, he’s also versed in what is generally called “theory” and rhetoric. He’s an observant Jew, and an anti-Zionist. He’s also, I’m afraid to say, a complex and, frankly, difficult writer. Those who know me know I’ve long had a simmering interest in the time that produced both the rise of Christianity and the developed of so called Rabbinic Judaism (i.e. ~30-300 b.c.e). This simmering interest in starting to deepen and, I think, may be the central part of my personal intellectual life for the foreseeable future. To get a sense of this world, and especially the inter-play between Judaism and Christianity in this time, I went to Borderlands, which everyone considers to be one of the central contemporary books on the topic. I wasn’t prepared for what I found there, for several reasons. First, I wasn’t prepared for the introduction to be a nuanced, compelling argument against the Israeli occupation of West Bank and Gaza. 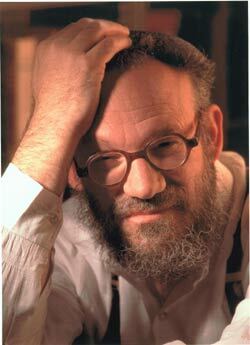 I’d assumed that because Boyarin is an observant Jew, he was also at least a “soft” Zionist. He is not. Even if you care nothing about Boyarin’s scholarship, and whether or not you agree with Boyarin, this book is worth picking up for the careful and brilliant introduction alone. After the introduction however, things get much more challenging. The central thesis, as I understand it, is that in the first hundreds years or so, C.E., as Judaism and Christianity developed, they did so in conversation and tension with each other — theology and practice was sometimes shared, and sometimes developed in stark opposition. Remember that the Judaism developed by the rabbis in this time was something new, not focused on the (now destroyed) temple in Jerusalem, but rather focused on the Torah and the Talmudic laws and commentary surrounding it. Similarly (and often in opposition, or reinterpretation of Judaism) Christianity was attempting to develop of cohesive theology out of the remembered teachings of an iterant Jewish messianic preacher, Jesus of Nazerth. The thesis is fascinating, and to the degree I understood what Boyarin was saying, I was captivated. But the real talk is this is an academic book, and it assumes far more knowledge of Hebrew, the Talmud, and the early church fathers than I have. For someone like me, interested in the subject, but far from an expert, it wasn’t the place to start. But even if I was lost and drowning at times, it was exciting to get a sense of what the deep end of the pool looks like. I’ll be back when I’m better able to swim. Recommended for the (learned) enthusiast.